The best location for your wedding? Lake Como, of course! Through this guide, you will discover some of the best places for your wedding in Lake Como. The magic light of the lake, the gorgeous villas, and the charming atmosphere will turn your special day into an unforgettable experience. So, keep reading and get ready to learn something about the best venues for your Lake Como wedding! Villa Monastero Pax is a historic hotel, which dates back to the 18th century. The villa is located in Lenno (a hamlet of Tremezzina), on the western shore of Lake Como. Over the centuries, Villa Monastero Pax had been the center of social and economic life of the village; nowadays, the site is one of the favorite Lake Como wedding venues, and offers a beautiful setting for photo shootings and fashion shows. That makes it the perfect place to welcome your guests in style! The villa also hosts a huge park and several lake viewpoints: from the garden terrace with direct access to the lake, to the amazing lookout point… everything will be just like in a dream. Villa Monastero Pax provides many services that will make your wedding day perfect, such as reception, flower decorations, photographers, music entertainment and reservation in local hotels or B&B. Moreover, you can rent a boat for a romantic tour of Lake Como, or relax at the spa situated inside the villa. If you want to organize a memorable Lake Como wedding, you must choose Villa Balbianello, one of the most popular wedding venues because of its unique position: the villa is located at the tip of a small and wooded peninsula which is part of Tremezzina. Villa Balbianello is not just a simple place to get married in Lake Como; it is also the setting for many fashion shoots and international movies, such as Casino Royale and Star Wars, episode II: Attack of the Clones. The breathless frescoes on the walls, together with the charming gardens and the imposing entrance, are only some of the treasures that make Villa Balbianello one of the most prestigious wedding venues. Let me spend a few words for another gem of Lake Como: Villa Carlotta, in Tremezzo. This historic building was a wedding gift from Princess Marianne of the Netherlands to her daughter, Princess Charlotte Frederica of Prussia. Nestled between lake and mountains, Villa Carlotta is another great choice for Lake Como weddings. Setting your wedding in Villa Carlotta means traveling through time and space, and going back to the charming atmosphere of belle époque. The magnificent gardens of the villa, which is famous all over the world, are the perfect set for your photo shooting, whereas the huge terrace is the best place for your wedding party. And no matter if weather is bad: Sala Gessi, a hall full of classical sculptures and breathless frescos, represents an excellent alternative. 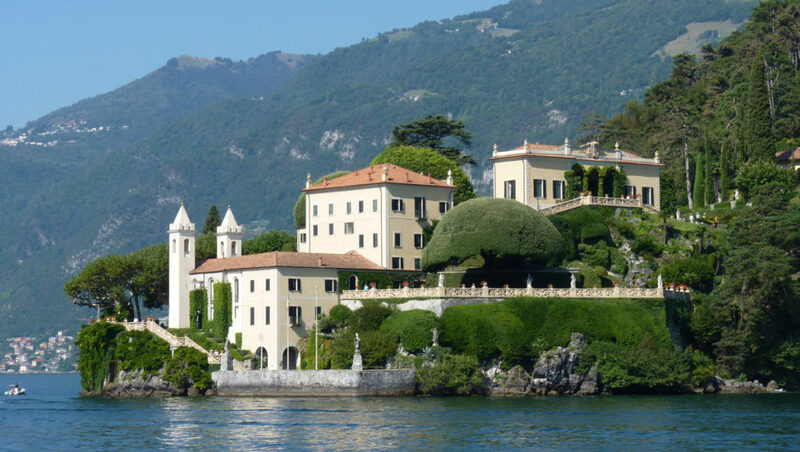 Another fantastic wedding venue is Villa D’Este, which takes place in Cernobbio. Villa d’Este is an imposing Renaissance building, and has always welcomed political leaders, VIPs and wealthy people. Nowadays, Villa d’Este is a luxury hotel that offers over 152 rooms and is a prestigious venue for your wedding in Lake Como. Thanks to its fairytale gardens, Villa d’Este is one of the most beautiful settings for your wedding photo shootings and, after the ceremony, you and your guests can relax at the spa located inside the villa. If you want to admire the lake, you will be happy to know that Villa d’Este offers large terraces, windows and balconies. Villa Erba is another classy villa, which dates back to the 19th century. Located in Cernobbio, not much far from Villa d’Este, Villa Erba is characterized by Mannerist features, and is surrounded by a huge garden where you and your guests will have the chance to take a relaxing walk after the party. The villa was also the setting for many movies and TV sposts. You probably have seen it in Ocean’s Twelve, The Leopard, or in the music video “Cool” by Gwen Stefani.